Washington: Democrats vowed Friday to investigate allegations that President Donald Trump instructed his former lawyer, Michael Cohen, to lie to Congress about Trump’s pursuit of a proposed hotel and condo complex in Moscow during the 2016 presidential campaign. If confirmed, the allegations would pose a direct threat to the White House by suggesting Trump committed a felony while in office. It’s against the law to suborn perjury, and Congress could consider it an impeachable offence. 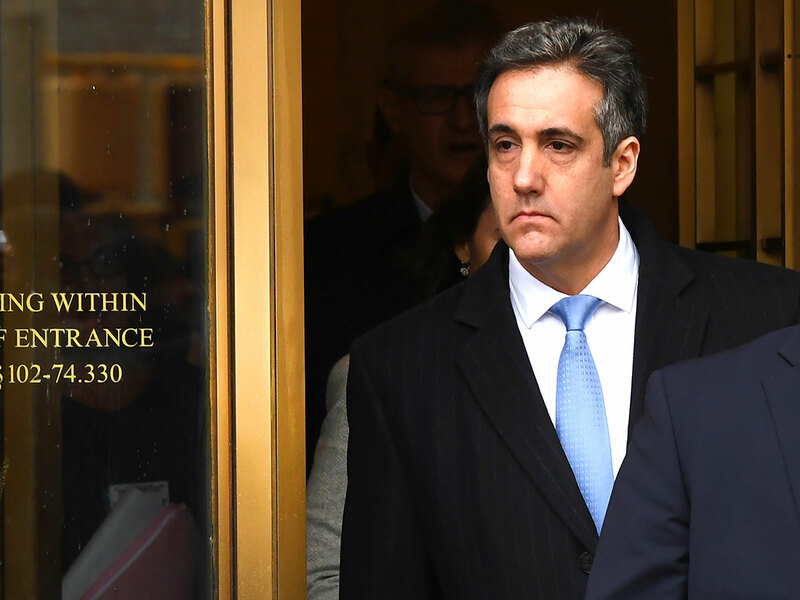 Cohen pleaded guilty last year in New York to lying under oath and other crimes, and he will start a three-year prison term in March. BuzzFeed cited unnamed law enforcement officials who said special counsel Robert S. Mueller III had obtained emails, text messages and other documents from the Trump Organisation to support the allegations. Mueller’s office, however, issued a rare public statement disputing the BuzzFeed account. “BuzzFeed’s description of specific statements to the Special Counsel’s Office, and characterisation of documents and testimony obtained by this office, regarding Michael Cohen’s Congressional testimony are not accurate,” Peter Carr, a spokesman for Mueller, said in the statement released Friday evening. BuzzFeed Editor Ben Smith responded with a statement asking Mueller to clarify what aspects of the story he was disputing. BuzzFeed’s report said Cohen updated Trump 10 times during the campaign about his efforts to develop a Trump Tower project in Moscow. The proposal wasn’t abandoned until Trump had effectively secured the Republican nomination in June 2016. But when Congress summoned Cohen to testify in August 2017, BuzzFeed reported, the president “directed” him to falsely claim that they had stopped pursuing the deal months earlier. The president’s lawyer, Rudolph W. Giuliani, strongly denied that claim. “The president did not in any way suggest that [Cohen] lie,” Giuliani said in a telephone interview. He said he doubted that the special counsel or other federal prosecutors had documentary evidence to back up the allegations. “My guess is they don’t have it, and if they have it, it’s very ambiguous, and they’re interpreting it the way they want to,” he said. Giuliani said he wasn’t sure whether Trump saw the false testimony or if he spoke with Cohen about it. John Dowd, who represented Trump in August 2017, said he didn’t give Cohen’s testimony to Trump. “We don’t do that; that’s not the way we practice,” he said. Lanny Davis, a spokesman for Cohen, declined to answer questions about the BuzzFeed report. Cohen is scheduled to testify publicly before the House Committee on Oversight and Government Reform, but he may try to evade questions about the Moscow real estate proposal or other aspects of the special counsel investigation. “Anything to do with the Mr Mueller investigation, he does not want to comment on, nor will he during the February 7 hearing,” Davis told NBC News. It’s clear Mueller’s team has looked at the preparation of Cohen’s testimony as part of its investigation into whether the Trump campaign assisted Russian efforts to influence the 2016 election, as well as whether the president obstructed justice. With Democrats now leading the House of Representatives, both the House Judiciary and the House Intelligence committees vowed to investigate the BuzzFeed report. “These allegations may prove unfounded, but, if true, they would constitute both the subornation of perjury as well as obstruction of justice,” said a statement from Representative Adam B. Schiff (Democrat from Burbank), who chairs the Intelligence committee. “This moves right to the top of the agenda,” said Representative Jamie Raskin (Democrat from Maryland), a member of the House Judiciary Committee. Democratic leaders have been reluctant to race toward impeachment proceedings, but the new allegations — if confirmed — could make that more likely. “If the @BuzzFeed story is true, President Trump must resign or be impeached,” tweeted Representative Joaquin Castro (Democrat frp, Texas), a member of the House Intelligence Committee. One of the articles of impeachment against President Nixon during the Watergate scandal was “counselling witnesses with respect to the giving of... false or misleading testimony” during judicial and congressional proceedings. Nixon resigned in 1974 before he was impeached. Trump’s nominee for attorney-general, William Barr, said during his Senate confirmation hearing on Tuesday that the president would have obstructed justice if he urged someone to lie. “If there was some reason to believe that the president tried to coach somebody not to testify or testify falsely, that could be obstruction of justice?” Senator Lindsey Graham (Republican from South Carolina), chairman of the Senate Judiciary Committee, asked during the hearing. Trump had long sought to build a luxury skyscraper in Moscow, and Mueller’s office said it could have generated hundreds of millions in profits for him.